Qualcomm announced on February 25th that it’s bringing its 5G chips to the automotive space, as the company works to branch outside the mobile industry. The Snapdragon Automotive 5G platforms (along with 4G) includes features that will help with the overall driving safety and experience, says Qualcomm. “We believe our new Snapdragon Automotive Platforms will help launch the connected vehicle into the 5G era, offering multi-Gigabit low latency speeds, lane level navigation accuracy and an integrated and comprehensive C-V2X solution for increased road safety for cars and transportation infrastructure,” said Qualcomm’s senior vice-president of product management Nakul Duggal in a recent press release. Both the 4G and 5G platforms are planned to be implemented in production vehicles in 2021. Qualcomm also announced at Mobile World Congress this year, which was hosted in Barcelona, Spain, it will expand its 5G chips to PCs and home broadband. The company is developing a chip that allows computers to connect to 5G networks, which will directly compete with Intel’s 5G chip that’s due to release later this year. Qualcomm is also making chips for 5G wireless stations, which has the potential to completely replace home broadband if the connectivity speeds are fast enough. 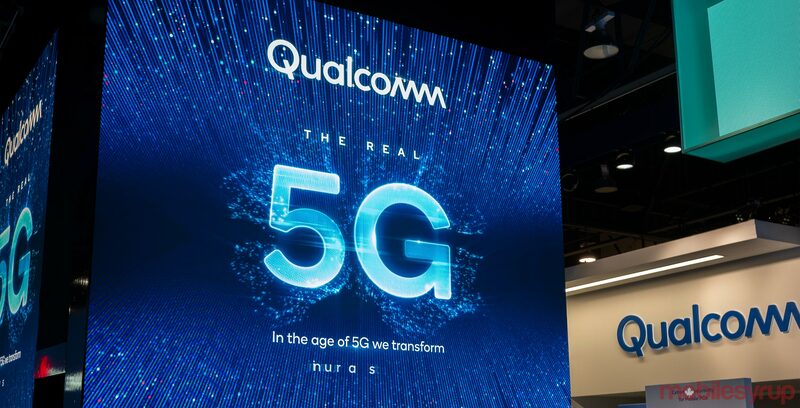 Last week, Qualcomm announced its X55 modem, the successor to its first 5G-capable smartphone, which aims to bring 5G service to the mainstream.